Jura A1 - Home machine or Hotel room. Black coffee only. 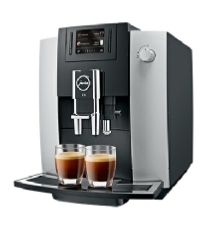 Jura E6 - Ideal for 5-20 cups per day. Built in milk frother. After many years of trial and error and experiencing sub-optimal performance, poor coffee flavour extraction and the lack of an efficient workshop facility, the East London Coffee Company formed a long standing relationship with one of the worlds leading manufacturers of automatic coffee machines, Jura. We have now been selling, servicing and renting out Jura machines for years and we are proud that we can now offer these to our clients with confidence. There are many machines on offer within their extensive range - we have selected a few of these for display on the site - these are the most popular and come highly recommended. Programmable: Coffee strength; volume; milk to coffee ratio; temperature. Brew types: The Jura machines are able to prepare all the popular coffee brews - you can also adjust the settings of each to suit your own personal taste. Milk frothing: With the exception of the small A1, all Jura machines come with a built in, technically advanced milk frothing system. With most of the range, one literally places a cup under the appropriate spout, presses the button and in a minute or perhaps a few seconds longer, a well prepared coffee is served to you! Cleaning: For an extended life, all machinery needs looking after. Jura have set this up automatically for you and aside from filling the bean hopper; emptying the dreg draw and filling the water tank when required, most of the servicing process is either automatic or you will be guided through this via the digital screen on each machine. The milk system needs a daily rinse and clean. Other than this, occasional de-scaling; water filter replacement and coffee system cleansing using the Jura cleaning products is all that is required. 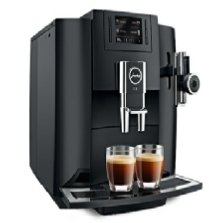 Warranty: Each machine comes with a twelve month/5000 cup full warranty and Jura themselves maintain a large and efficient workshop if and when this is required. 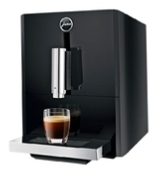 Jura automatic coffee machine - home - office - retail - restaurant - hotel applications. There will be a Jura machine to suit your application. For home, small office or small accommodation establishment, please scroll below. 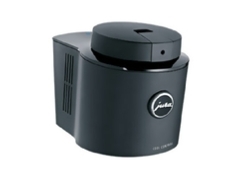 Jura for medium to large applications. Please type message below or leave as default. Please uncheck if you DO NOT wish to receive our monthly newsletter. Please prove that you are a real person by typing the number: 2018 into this field.